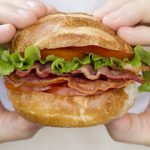 Why Mediterranean Umami is Better? 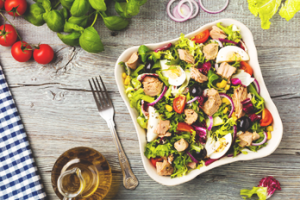 An Exceptional Mix of All-Natural, Powerful Mediterranean Umami Extract, Combined with Sea Salt, Which Allows Food Manufacturers to Significantly Reduce Sodium Quantities by Up To 45% Across a Broad Variety of Products – Without Compromising on Taste. Salt of the Earth Mediterranean Umami is a Natural Savory liquid Mixture of Vegetable-Extract Mediterranean Umami and Sea Salt. 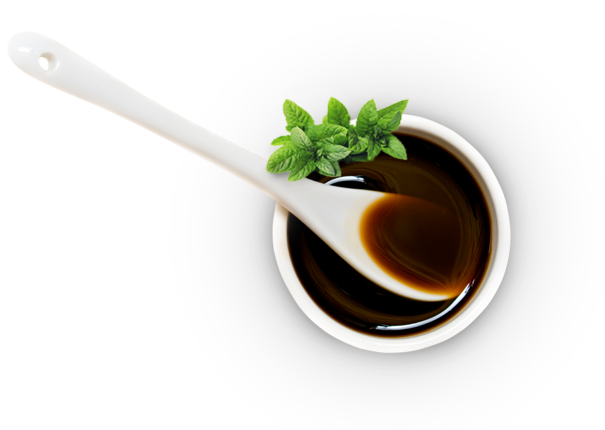 With Mediterranean Umami, you can soup up Formulations or Develop new ones bursting with flavor. You can use Mediterranean Umami instead of, or in combination with regular granulated salt in almost any product. 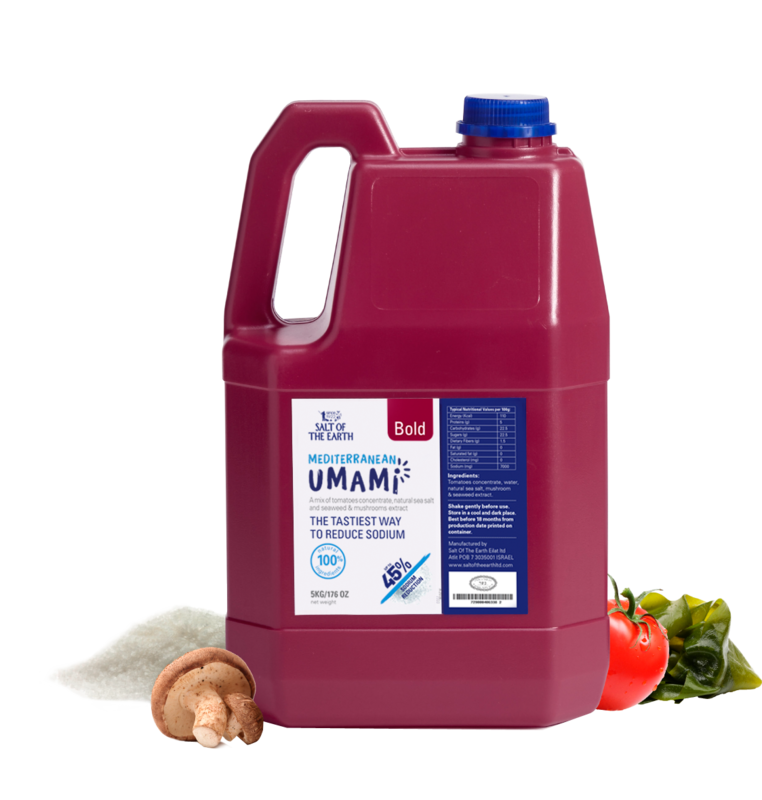 Mediterranean Umami is packaged in easy-to-pour Containers and is Instantly Soluble. It is Vegan and holds high Kosher Certification. 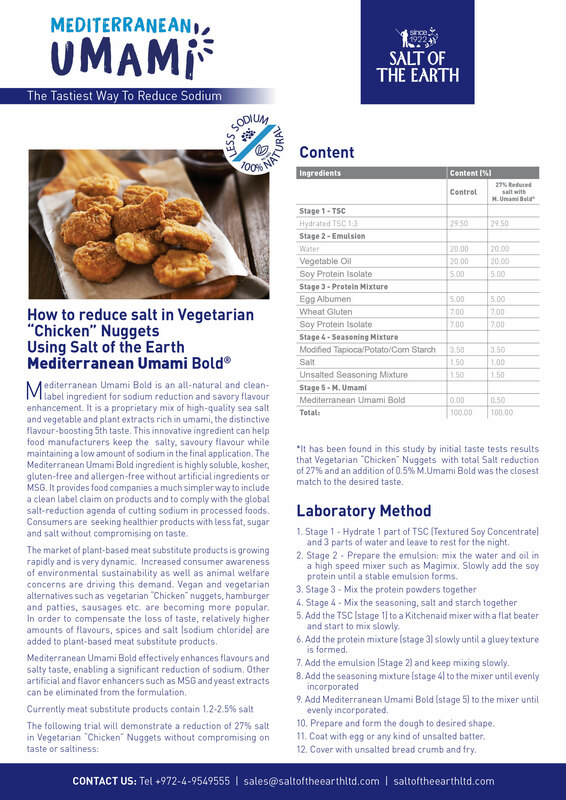 Mediterranean Umami gives manufacturers a much simpler way both to label products “Reduced Sodium” and Nutritious, and to comply with the global salt reduction framework for cutting down sodium in processed foods. 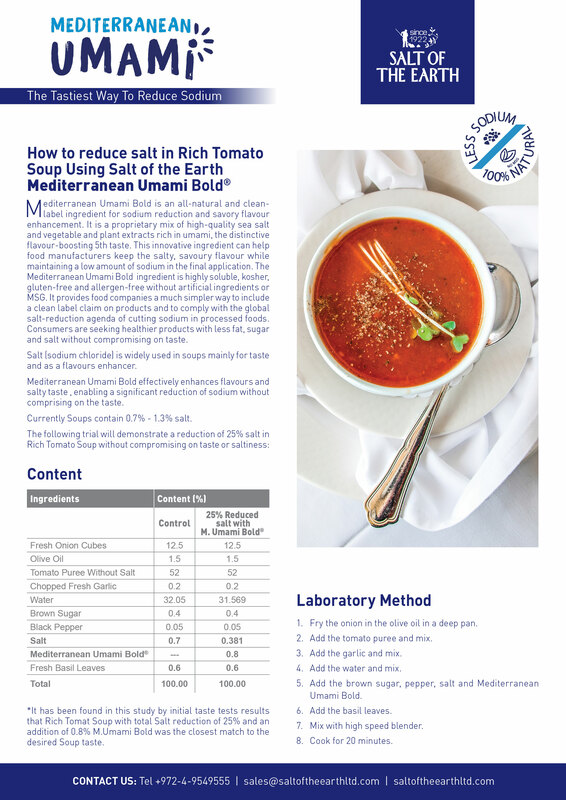 How to reduce salt in rich tomato soup? 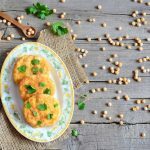 How to reduce salt in vegetarian chicken nuggets? 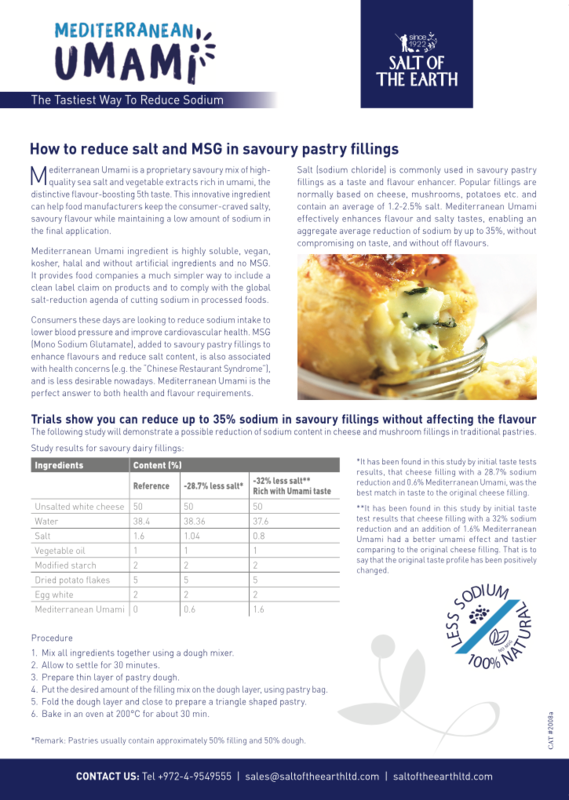 How to reduce salt and MSG in savory pastry fillings? 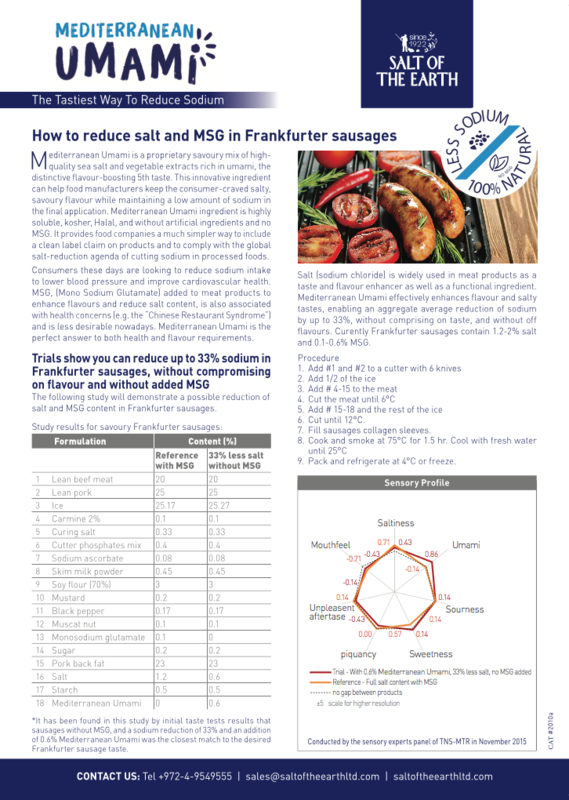 How to reduce salt and MSG in Frankfurter sausages? 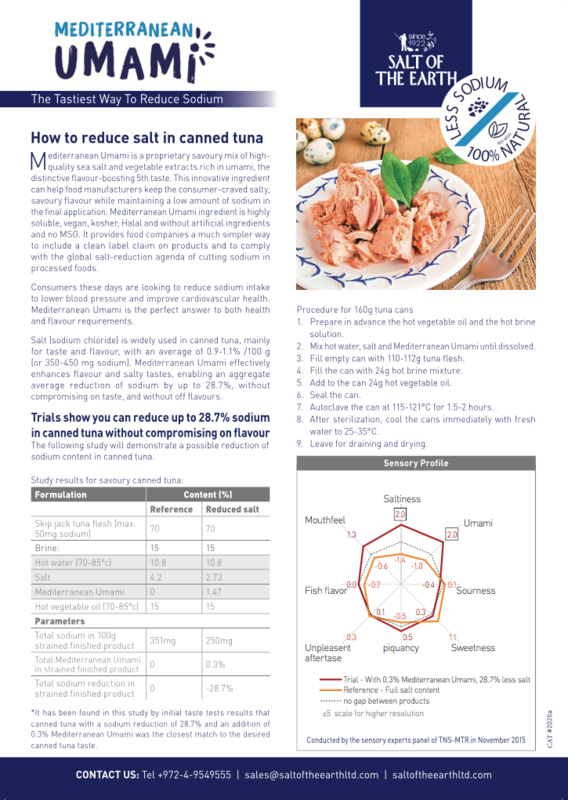 How to reduce salt in canned tuna? 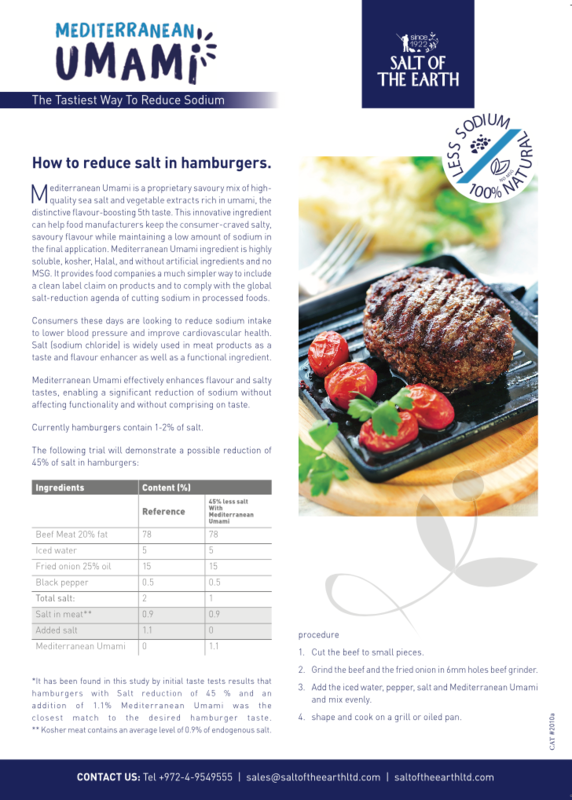 How to reduce salt in Hamburgers? 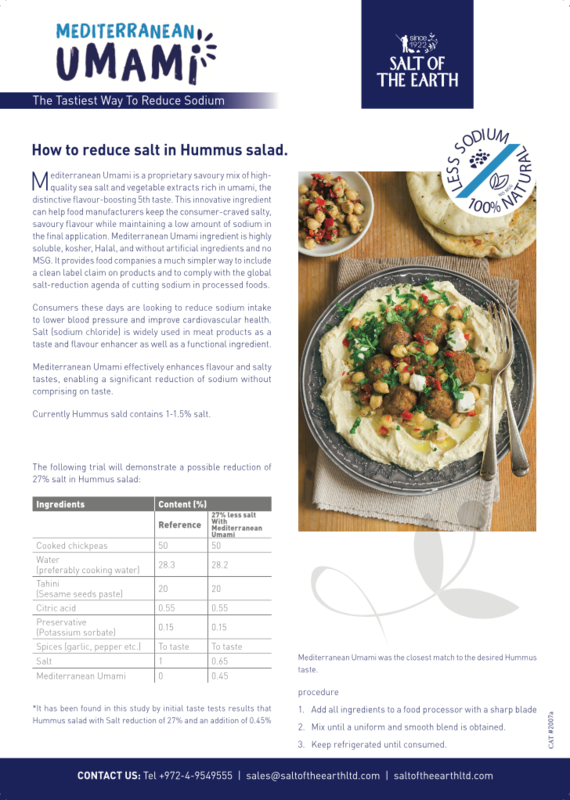 How to reduce salt in Hummus salad? 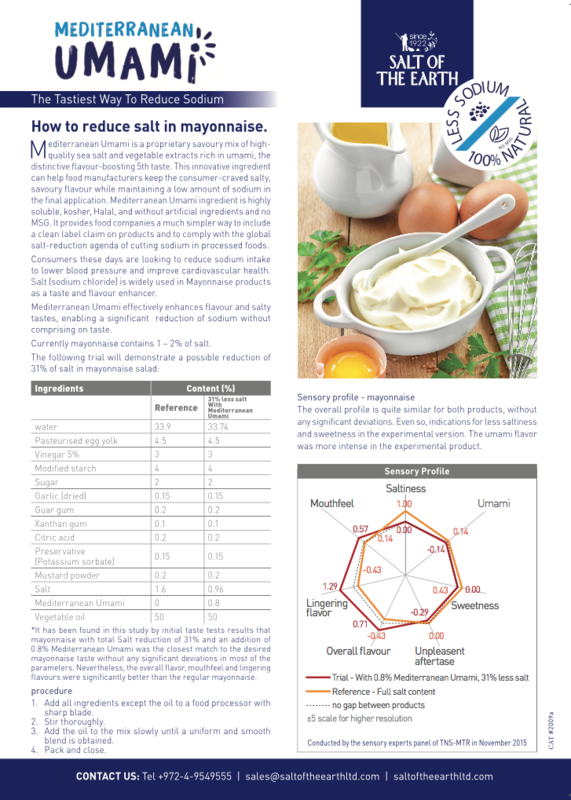 How to reduce salt in mayonnaise? 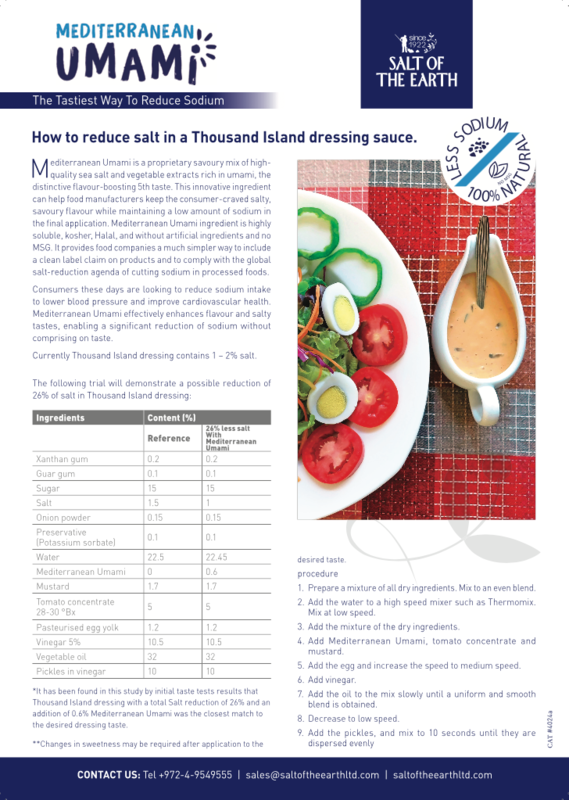 How to reduce salt in A Thousand Island dressing sauce? 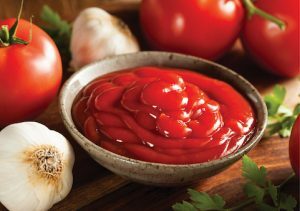 How to reduce salt AND sugar in Ketchup? 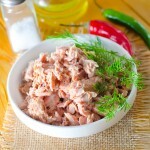 How to reduce salt AND sugar in Thousand Island dressing ? Sodium reduction with supercharged flavor? Article: Mission impossible is achieved thanks to Mediterranean Umami. 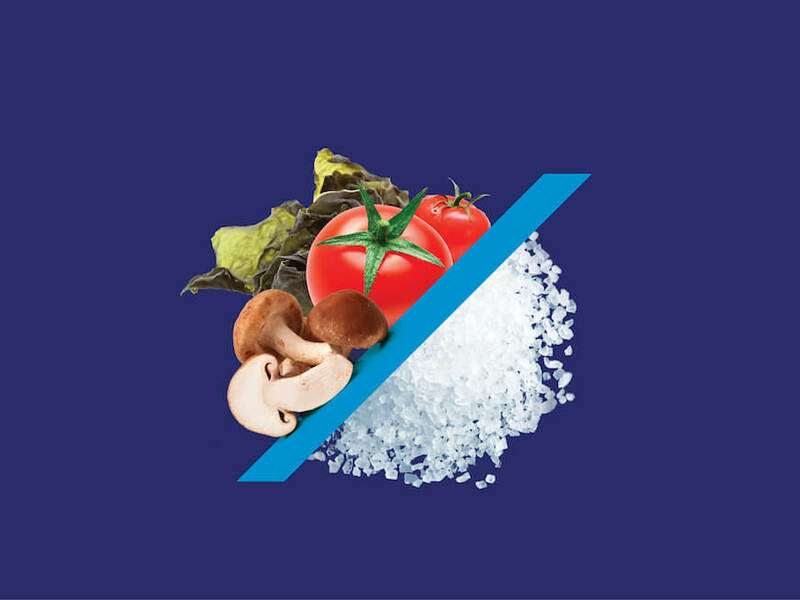 With Salt of the Earth’s inspiring Mediterranean Umami and your innovation, your product lines can take on a whole new dimension—both in enhanced flavor and in reduced sodium. Find out how easy it is to develop or extend your brand portfolio with high quality, versatile Salt of the Earth products; contact us today. 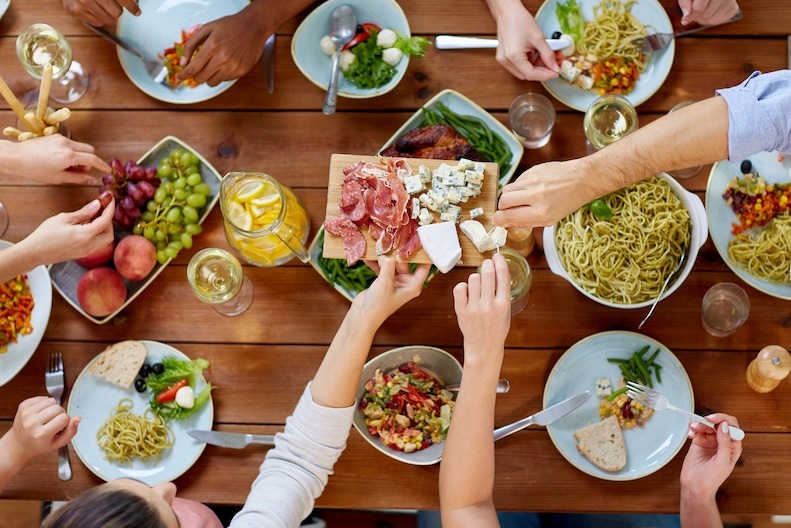 Salt of the Earth appoints an exclusive distributor for the natural ingredient – Mediterranean Umami in the United State and Canada.. Read More..
Mediterranean Umami meets the diverse demands of key global markets.. Read More.. The bulk of Salt Of The Earth's business is done under private label. The company offers the complete range of solutions for high-quality salts across every packaging format.